Photo: Arthur orchard – outer side of Fossil Is taken from the lookout at The Blowhole – on a quiet day! If watching the ocean smash into high coastal cliffs is your cup of tea then you have come to the right place. There are cliffs to the north, cliffs to the south and even cliffs in the middle of Pirates Bay. 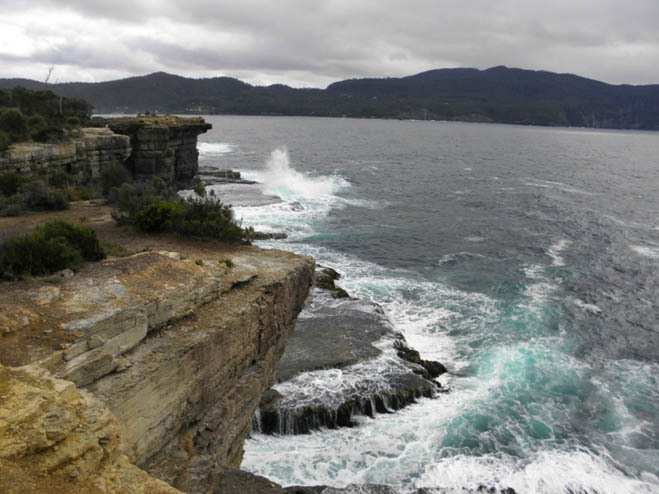 For closer action there are walking tracks to the edge of towering cliffs at Clydes Island, The Tessellated Pavement, The Blowhole, Tasman’s Arch, Devil’s Kitchen, Waterfall Bay and all along the track between the latter two spots. They have all been made as safe as possible however care is still needed, especially with regards to children. 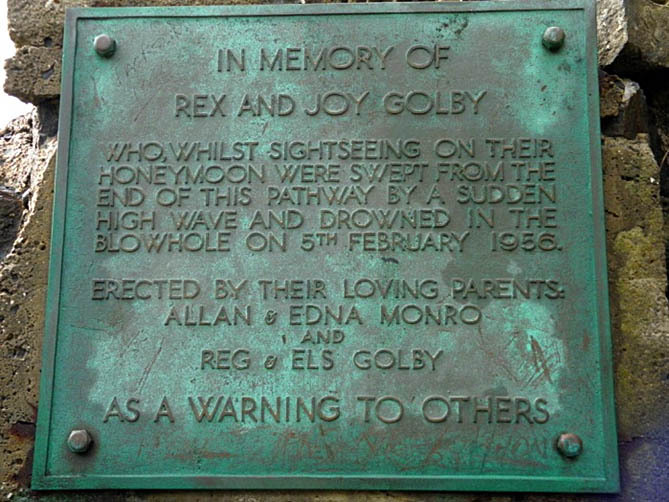 Photo: Arthur Orchard – A sad warning near the Blowhole; the cliffs no longer accessible past this point. The displays can be quite breathtaking, especially when a big south-easterly swell is running. 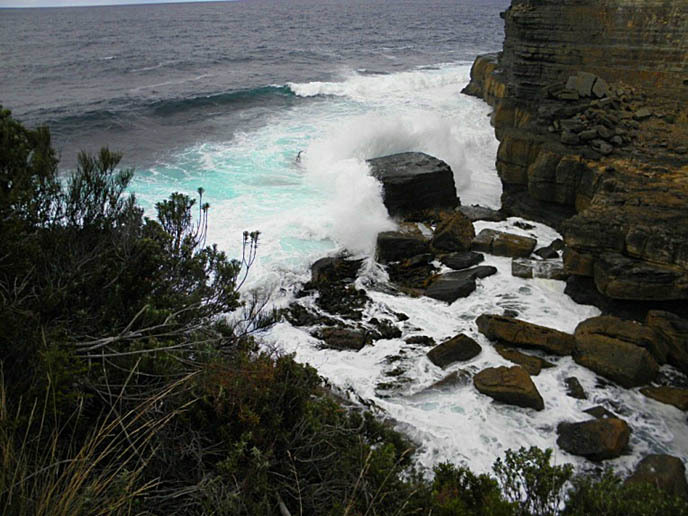 Waves can break onto the cliffs such that the spray shoots up higher than the cliffs. Lives have been lost in this area so stick to the tracks and take care. Photo: Arthur Orchard. – south easterly swell breaking near the Blowhole car-park.